Finish Line offers the best selection of basketball sneakers, running shoes, athletic apparel and gear from top brands like Nike, Jordan, adidas and Under Armour. Browse all Wyoming locations to find a Finish Line store nearby. Visit your local Finish Line today or shop online and pickup in-store to stock up on the latest shoes and apparel for your active lifestyle. 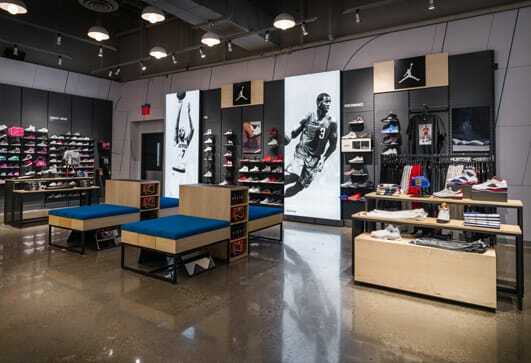 Check out all Wyoming Finish Line stores below to find a location near you.